45% Off - All Wall Picture Frames including our Museum Quality Ornate Picture Frames are on Sale NOW until Friday April 19, 2019! Each of our Museum Quality Picture Frames can include stretcher bars for a slight additional charge, simply request stretcher bars when you place your order. Kevane & Company has scowered the world to find the best possible value in Ornate Picture Frames for Oil paintings, Watercolors or all of your artwork. ALL of our Museum Quality Picture Frames are discounted 40% EVERY DAY OF THE YEAR! 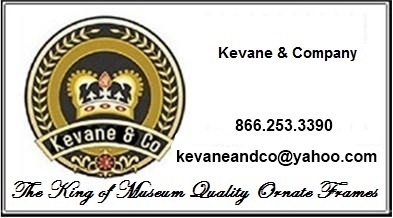 This makes Kevane and Company the best place on earth to find high quality museum quality picture frames for your oil paintings or all the rest of your art. At Kevane & Company you will find a full line of extraordinary ornate picture frames. Each and every one of our ornate picture frames featured here has been selected for its unique and superior quality and value. 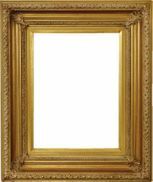 Please come back to this page often as we are ever expanding our selection of "museum quality picture frames". 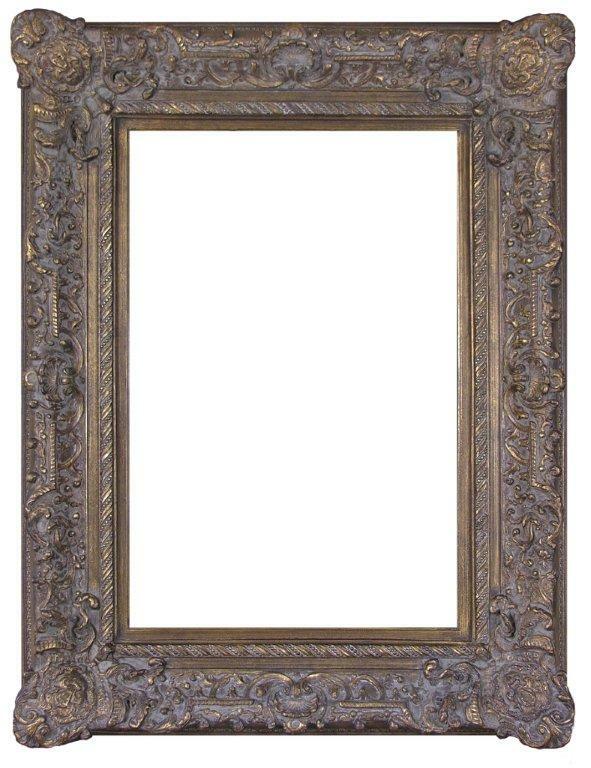 We offer a large assortment of superb, museum-quality Ornate Baroque style picture frames. All of which are available in a wide selection of standard sizes. You will find the mouldings of these museum quality frames intricately sculptured inluding very hard to find wide moulding widths up to 8"! We think that you will find our selection to be one of the most exciting collections of ready-made museum quality picture frames on the web. All of our Museum Quality Picture Frames are measured from the INSIDE of the Picture Frame. This means that to derived the outside dimensions you must add two times the moulding width to each dimension. In other words, please order your Museum Quality Picture Frames by size of the art that will go in your Frames. 45% Off - All Wall Picture Frames including all our Museum Quality Ornate Frames are on Sale NOW until Friday April 19, 2019! Picture Frame 301 Click For Pricing! Picture Frame 302 Click For Pricing! Picture Frame 305 Click For Pricing! Picture Frame 306 Click For Pricing! Picture Frame 307 Click For Pricing! Picture Frame 308 Click For Pricing! Picture Frame 309 Click For Pricing! Picture Frame 311 Click For Pricing! Picture Frame 312 Click For Pricing! Picture Frame 313 Click For Pricing! Picture Frame 314 Click For Pricing! Picture Frame 317 Click For Pricing! Picture Frame 318 Click For Pricing! Picture Frame 323 Click For Pricing! Picture Frame 325 Click For Pricing! Picture Frame 326 Click For Pricing! Picture Frame 328 Click For Pricing! Picture Frame 329 Click For Pricing! Picture Frame 331 Click For Pricing! Picture Frame 339 Click For Pricing! Picture Frame 341 Click For Pricing! Picture Frame 342 Click For Pricing! Picture Frame 346 Click For Pricing! Picture Frame 353 Click For Pricing! Picture Frame 355 Click For Pricing! Picture Frame 364 Click For Pricing! Picture Frame 365 Click For Pricing! Picture Frame 367 Click For Pricing! Picture Frame 373 Click For Pricing! Picture Frame 377 Click For Pricing! Picture Frame 384 Click For Pricing! Picture Frame 388 Click For Pricing! Picture Frame 389 Click For Pricing! Picture Frame 392 Click For Pricing! Picture Frame 398 Click For Pricing! Picture Frame 399 Click For Pricing! Picture Frame 400 Click For Pricing! Picture Frame 401 Click For Pricing! Picture Frame 409 Click For Pricing! Picture Frame 410 Click For Pricing! Picture Frame 411 Click For Pricing! Picture Frame 1023 Click For Pricing! Picture Frame 1024 Click For Pricing! Picture Frame 1031 Click For Pricing! Picture Frame 1035 Click For Pricing! Picture Frame 1057 Click For Pricing! Picture Frame 1058 Click For Pricing! Picture Frame 1060 Click For Pricing! Picture Frame 1061 Click For Pricing! Picture Frame 1067 Click For Pricing! Picture Frame 1068 Click For Pricing! Picture Frame 1081 Click For Pricing! Picture Frame 1082 Click For Pricing! Picture Frame 1083 Click For Pricing! Picture Frame 1085 Click For Pricing! Picture Frame 1214 Click For Pricing! Picture Frame 1226 Click For Pricing! Picture Frame 1230 Click For Pricing! Picture Frame 1231 Click For Pricing!